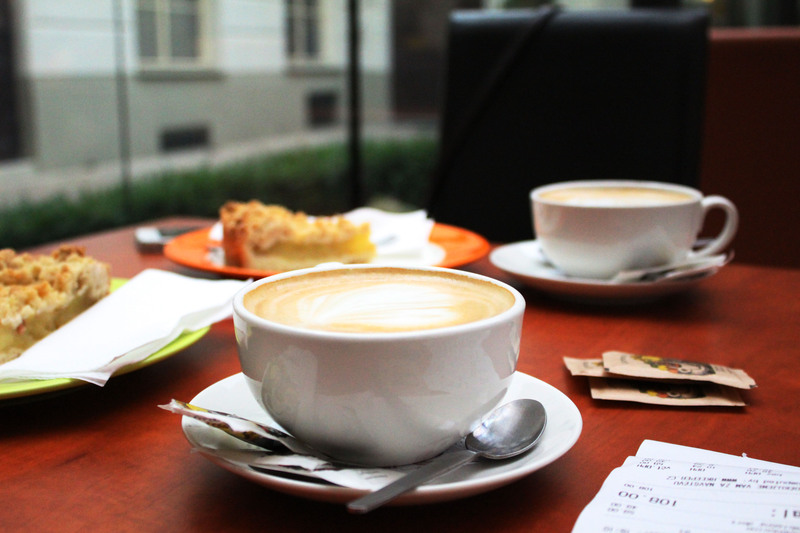 Do you have hard times concentrating on your studies at home or have a big gap between classes and still haven’t found a cozy place in Prague to spend some time? Here is a suggestion of where you can relax or work productively in a nice atmosphere. At first sight, Friends Coffee House on Palackého 7 street in Prague 1 looks as one of many coffee houses in Prague. However, it has a lot to offer. There are three spacious rooms, one of which reminds of a green-house: it has a glassed wall, small fountain and many green plants around. The brightness of the room, the placatory purl of water and pleasing combination of green and white colours inclines you to concentrate on your work. Two other rooms have more intimate atmosphere. 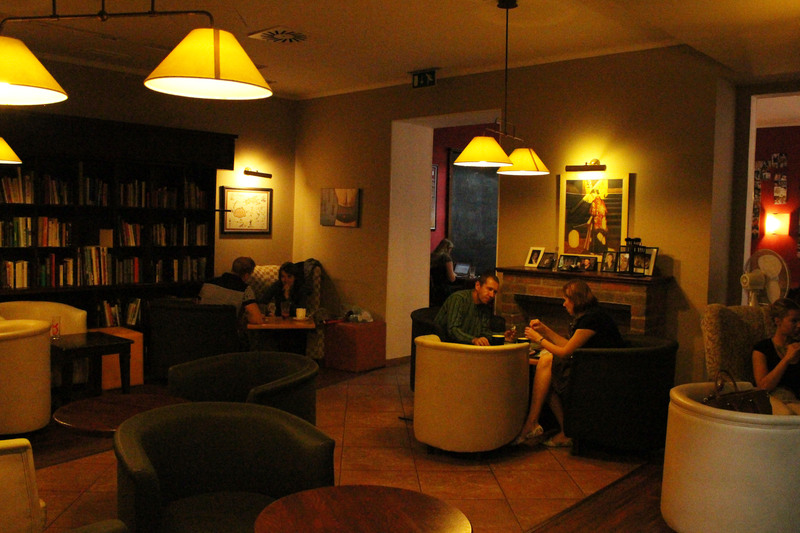 Comfortable couches, small tables and shelves pilled with books are a great source of distraction, should you need one. 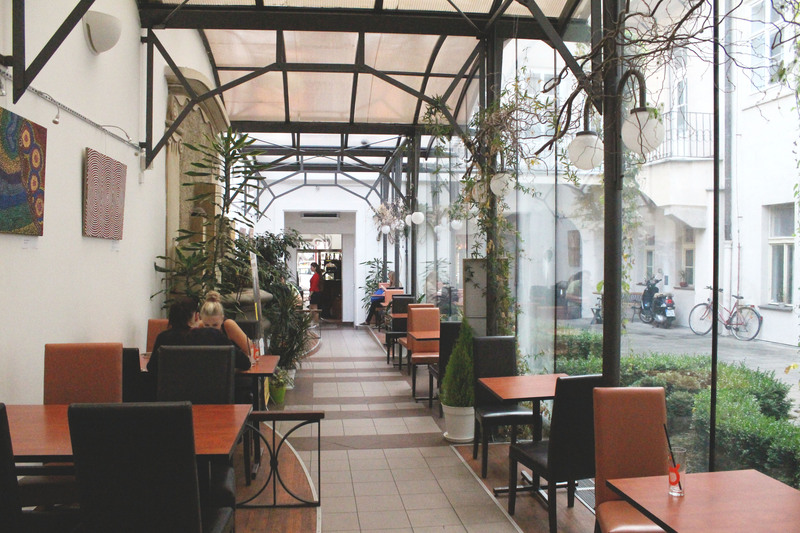 The menu of the cafe is standard and consists of different types of hot and cold beverages for a student-friendly prices (espresso 42 CZK, cappuccino 59 CZK), tasty cakes and sweets, fresh sandwiches and a healthy breakfast menu. A small hint: show your Opencard when paying and receive a 5 percent discount. Once in a while Friends Coffee House organizes cultural events, for example, currently held Australian Aborigines exhibition complementing the interior of the place. So next time you have a spare hour or two stop by this cozy place and enjoy a cup of a good coffee. Its working hours are Mon- Fri 9.00-21.00 and weekends and holidays 12.00- 20.00.